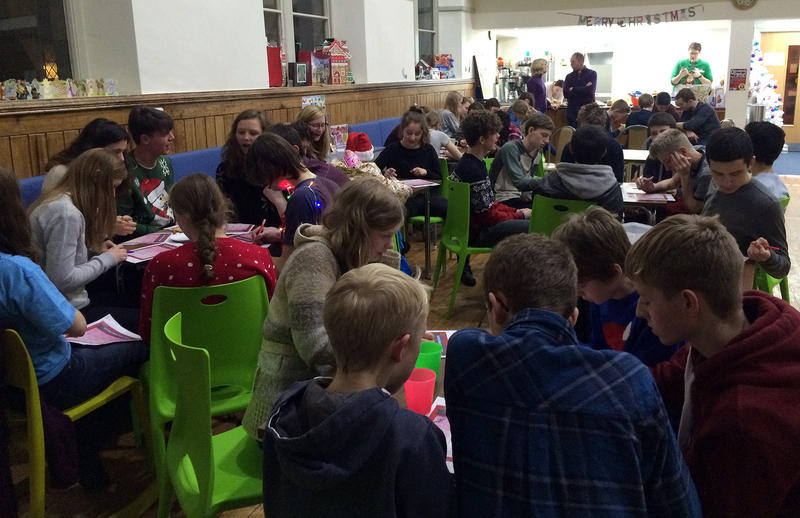 For the end of term, Release joined up with youth groups from Christchurch and St John’s Ben Rhydding for a Christmas party held at Dan’s Den. 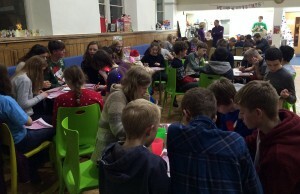 Food, games, Christmas bingo and a reflection on Jesus, ‘Prince of Peace’ from Rob Hilton of Christchurch were enjoyed by over 40 young people. The evening closed with a Secret Santa gift swap game. Great fun to celebrate Christmas with friends new and old. This article was posted in Children and youthwork, Uncategorized. Bookmark the permalink. Follow comments with the RSS feed for this post. Both comments and trackbacks are closed.